If you are searching for a tour luxurious package for your most memorable experiences about Hanoi and and Halong Bay, Vietnam, this combination of Signature Cruise and Apricot Hotel is the one that you should never miss out. Joining the tour with us, you will be given a chance to stay in one of the best 5 star boutique hotels in Hanoi - Apricot Hotel prior to the cruise while looking forward to an amazing experience in Halong Bay with kayaking, visiting cave, pearl farm and fishing villages... with Signature Cruise. 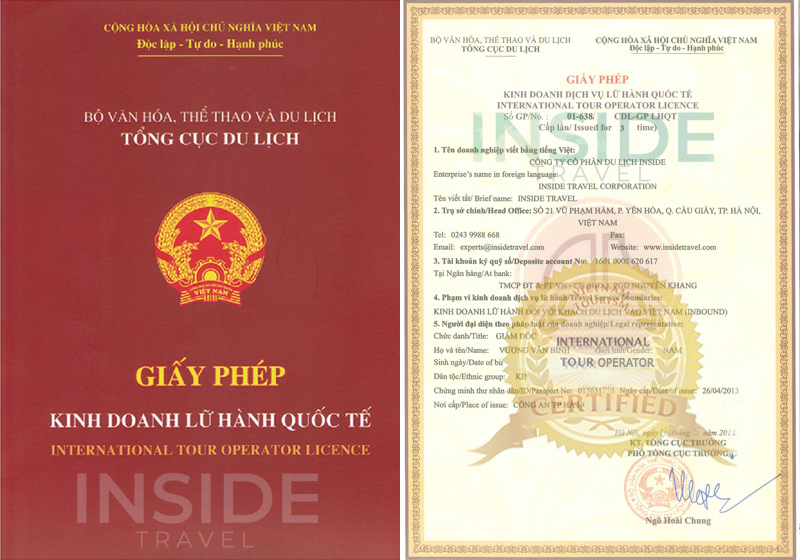 On your departure day, our driver will be ready at International Noi Bai Airport, holding a name board with your name on it, welcoming and then transferring you to Hanoi Apricot Hotel to do check-in. 08:00 AM: Make your way through the Red River Delta from Hanoi to Halong City via your transfer vehicle. Breaking time will be arranged for your best comfortable. 12:30 PM: Your cruise will begin with a transfer from the mainland on our excursion boat which will transport you to our main vessel, Signature Cruise. Upon boarding you will be greeted by our friendly Crews and enjoy a complimentary welcome drink. After a brief introduction and safety procedures overview, you will be checked into your cabin and have some free time to relax and explore the craft. 13:15 PM: A delicious lunch will be served in our main dining room as we slowly cruise through the magniﬁcent limestone formations which make up Halong Bay. Feast on delicious seafood and range of other delicious dishes as we make our way deeper inside Halong Bay. 15:00 PM: Head to Vung Vieng ﬁshing village by local rowing boats or kayaks to explore the interesting daily lives of its inhabitants. 16:30 PM: Back on board Signature Cruise Halong Bay’s main craft we will drop anchor for our overnight stay surrounded by incredible landscape. 17:30 - 18:30 PM: Happy hour with special drink menu (Buy one get another one for free). 17:30 PM: We will conduct a Vietnamese cuisine cooking demonstration and invites you all to participate in the preparation of these mouth-watering delights. 19:15 PM: Your dinner this evening will be served in our main dinner. 20:45 – 00:00 PM: Evenings are beautiful on Halong Bay, and just because the sun goes down doesn’t mean the night is over. Take advantage of our on board facilities or just relax to your heart’s content. Relax at our fully stocked bar with an assortment of local and international favorites. Try your luck at night squid ﬁshing, watch a documentary ﬁlm or simply relax on our roof top deck. 06:30 AM: The best time to observe Halong Bay is in the early morning and we suggest that if you didn’t get to witness it yesterday that now is your last chance. Tai Chi will be conducted again today on our upper deck and is a terriﬁc way to feel as one with the peaceful surroundings. 07:30 AM: Light breakfast will be served this morning. 07:30-08:30 AM: Enjoy the last stage of your trip in Thien Canh Son cave and islets, which is a wild and mysterious beauty in the middle of the World Heritage. 09:30 AM: Check out of your cabin and enjoy the last stage of your trip with a delicious brunch as we continue to cruise back towards harbor through scenery. 11:15 AM: After a ﬁnal farewell from our staff, you will be transported back to Halong City wharf via our Tender for your transfer back to Hanoi. We trust you had a pleasant journey on Signature Cruise Halong Bay and hope to have the pleasure of your company with us again. 12:00 – 12:30 PM: Get on the van and get back to Hanoi.